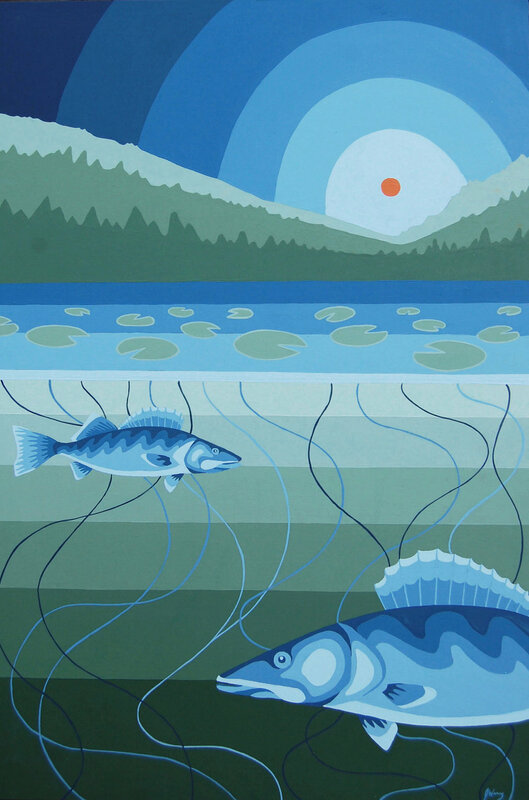 Johanna Westby is a visual artist from Sudbury, and teaches in the School of Art and Design at Cambrian College. Her illustration uses bold contrasts, shapes, and vivid colour to incite movement and visual interest. She is passionate about her creative work and how it impacts the community, working on various projects including murals, public art, and children’s books. In her work, colour is the most important consideration, as it has the ability to breathe life into a piece to express the familiarity of northern Ontario - the natural beauty of the land and the figure.